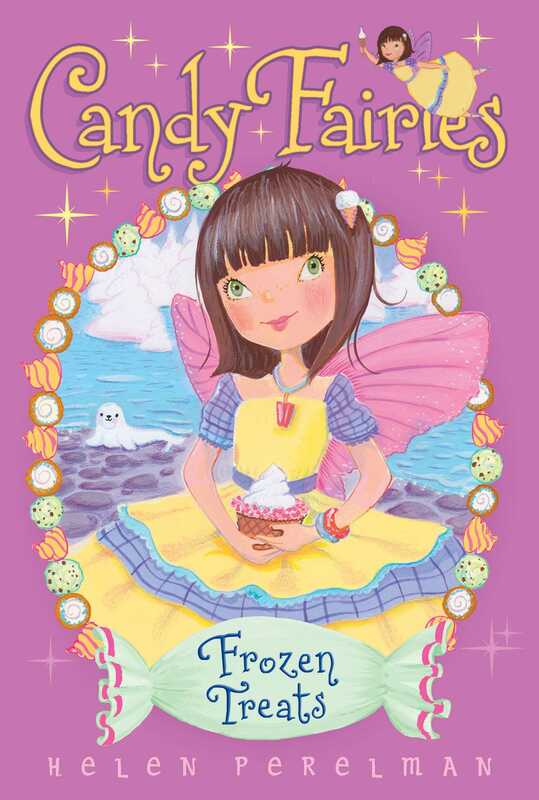 Melli the Caramel Fairy is off to help with an ice cream celebration, and she needs a little help from her friends in this sweet Candy Fairies adventure. Melli the Caramel Fairy has been chosen to go to Ice Cream Isles to help with the preparation for the Summer Spectacular, an exciting annual event with a parade—of ice cream floats! Prince Scoop has invited Melli to his family’s castle to try her hand at a new caramel dipping sauce for the ice cream. All the other candy fairies are jealous, but Melli is feeling unsure about going by herself. And if she makes new friends, will they get along with her old ones? Find out in this delicious scoop of frozen treats and good friends. The yellow-and-white bird flew down to Melli’s shoulder and gently pecked at the Candy Fairy’s finger. The bird closed her eyes and flapped her wings. Melli laughed. “I take that as a compliment!” she said. “We don’t have to wait for tonight!” Dash the Mint Fairy called from above.